Image speaks itself. Have you ever wondered how bad images have adverse effect on your online store and not attracting your niche audience? Or maybe your product’s success depends entirely on its image specification and its clarity. Whatever be the situation, with image processing services, it is possible to convert the simple image into effective one. May be it is the saturation of image need to be adjusted, the proportion in color need to be corrected, the matter of increase in brightness, the changes to be made in background, appropriate cropping to be required, minute to minute detail can be enhanced with image enhancement. There are six different ways by which an ordinary image processing services can be transform to excellent through image enhancement. Mostly digital images have wide deviation in term of color density and contrast. For example, the color of the object like tree, sky looks very different from the original color and make picture unreal. With excellent service of image enhancement, the final edited image has proportional color density and contrast. Color of the image is its important element; a good color enhances the image and bad color result in destruction in quality of the image. With Image enhancement, there are infinite options through which color could be adjusted, the contrast and brightness of the image could be enhanced. To make image to speak itself, the color gradient of the images is analyzed and perfect tone color foe each image is applied. If your image has lost its quality due to fading light, color imbalance, or due to other factor like tungsten glow or fluorescent light, these all defects can be corrected by image enhancement and any type of color cast can be corrected to provide a flawless and beautiful image. Too bad or too small images spoil the whole description or catalog design. Proper appropriate size of the image should be maintained to make it more productive. With image cropping feature it is possible to crop the image in any size without compromising with the quality of the image. Image cropping can also be performed to eliminate the huge borders and to avoid any framing mistake and other unwanted element. Sometimes, the main focus of image is lost due to unwanted or distracting elements in the background, which can be correct with image enhancement service. 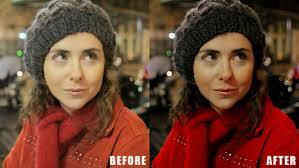 To make the image perfect for use, background enhancement sometimes image enhancement play a crucial role.